Did you know that April is National Soyfoods Month? Well, it is...and though we're already halfway through the month of April, it's not yet too late to learn about soyfoods and how they can be incorporated into our everyday meals. I'm certain that many are familiar with soy and eat soy products on a regular basis, but for sure, there are some who haven't even heard of it and its benefits. Soy is a versatile bean native to East Asia that's known as "the meat of the field" because of its high protein content. It is also low in saturated fat and contains other essential nutrients such as calcium, iron, zinc, folate, fiber, potassium, omega-3 fatty acids, and several of the B vitamins. Soy can be eaten as a replacement for dairy and meat. Soy foods include soy milk, tofu, tempeh, soy flour, soy yogurt, miso, soy beans and soy nuts. Eating more soyfoods in place of animal-based protein sources lowers saturated fats, cholesterol, and calories in our diets which can help lower risk of hypertension and certain types of cancer. The Soyfoods Association of North America (SANA) provides information about the health benefits and nutritional advantages of soy. SANA also offers fun recipes and convenient ways to incorporate soy into our everyday meals. If you're thinking that soyfoods are only for vegetarians, you're wrong. You do not have to be a vegetarian to enjoy the health benefits of soyfoods. Try incorporating soy into your menus and you'll see that dishes made with soy are tasty, healthier and just as easy to make as other dishes containing conventional protein sources. If soyfoods are new to you, try one kind of soyfood a week. You can start with soymilk which you can use in cereals, coffee, tea or smoothies. Look at this yummy looking Mixed Berry Smoothie. You can make it using the creamy and delicious WESTSOY Soymilk which is made from whole organic soybeans. If you love pancakes for breakfast, you can try making it using soy flour. You can also use soy flour as a substitute for all-purpose flour in baking your favorite treats. 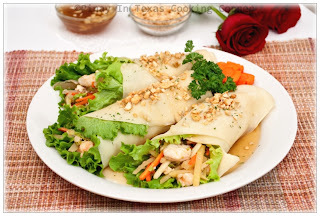 Later on, when you're already getting the hang of soyfoods, you can use tofu as an added ingredient to regular meat or vegetable dishes like this Shrimp Spring Roll, Pork with Black Beans in Oyster Sauce, Mussels in Paprika Sauce, String Beans Adobo and Kingfish in Oyster Sauce. Then later on, you can use it as a substitute for meat in recipes such as Lasagna Rolls, tacos, stuffed shells and burgers. It’s also great for tossing onto a salad or pureeing in soups! 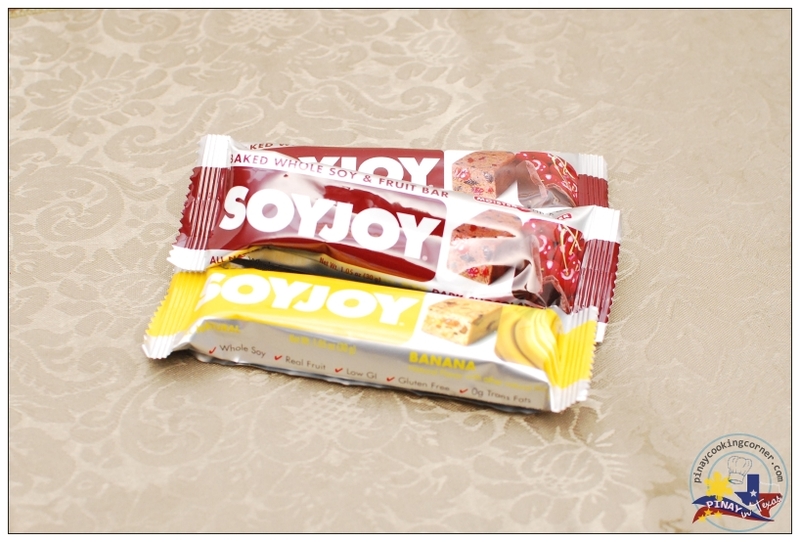 If you need a snack, you can try a gluten-free SOYJOY bar or a small package of Honey Roasted Soy Nuts. I received samples of both products, and I am truly amazed of how good they are! My daughters said they both enjoyed the SOYJOY Dark Chocolate Cherry that I packed in their lunch boxes yesterday. They said they liked the taste --- it's not too sweet and the cherry flavor goes so well with dark chocolate. As for me, I tried the banana flavor and I liked that I can really taste the banana in it. It's not super yummy, but it's tasty enough. And though it's fairly small in size, it can give the boost you need until you get to your next meal. 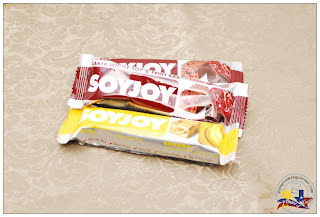 If you are looking for a healthy gluten-free snack, you should try SOYJOY Bars. They are baked with nutrient-rich whole soy and real fruit and can fit into a number of healthy diets including gluten-free, vegetarian and carbohydrate controlled eating plans. 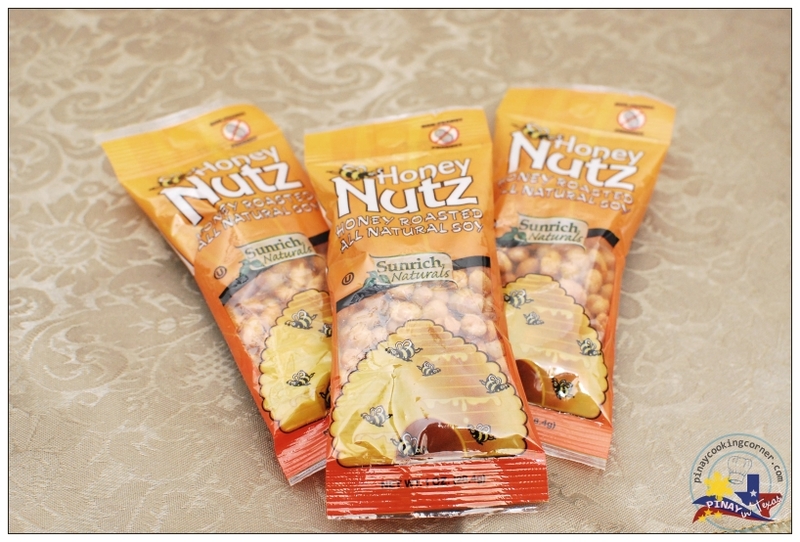 As for the Honey Roasted Soy Nuts, well, I must say it's so addictive! After trying it, the hubs and I now prefer soy nuts over peanuts. 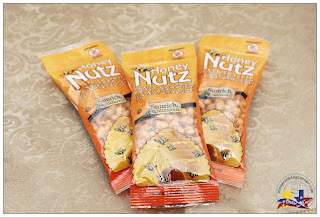 It's a great snack especially when you want to eat healthy but still want to enjoy something "salty" and "sweet". It's something you won't feel guilty munching on! Try them and tell me if you agree! Explore the site for recipe ideas and ingredients, and don't forget to check SoyFoods Association on Twitter at @SocialSANA and on Facebook! Disclaimer: This sponsorship is brought to you by the Soyfoods Association who PiTCC has partnered with for this promotion. Soy is also my fav, either made as a drink, the chunks for savory dishes or process as tofu. Great idea what to do with them and the nibble is perfect for snack. I'm sure there's a Cream Cheese Month also :D Soy is a versatile food , soy milk is one of my fave drink . Fresh or package tofu is such a great ingredients for stir fry . I love roasted soynut, especially spiced version. Thanks for introducing another national food history month.